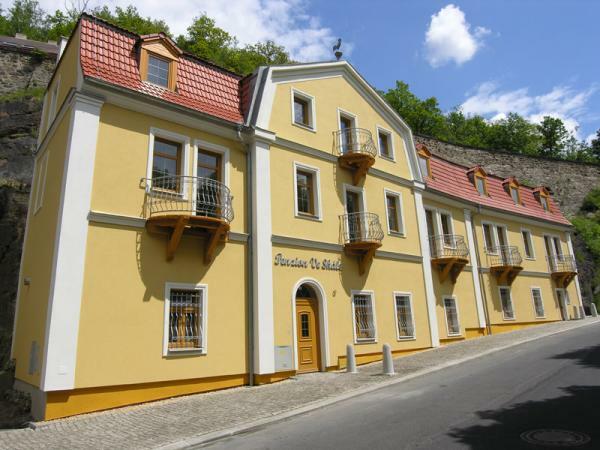 Penzion Ve Skale (Hotel In The Rock) offers accommodation below the castle Loket with castle view from every room. Hotel rooms are equipped with private bathroom, Wi-Fi and TV-SAT. In the hotel there is a unique lounge literally “In The Rock” suitable for private or corporate events. We have rock walls inside the building! 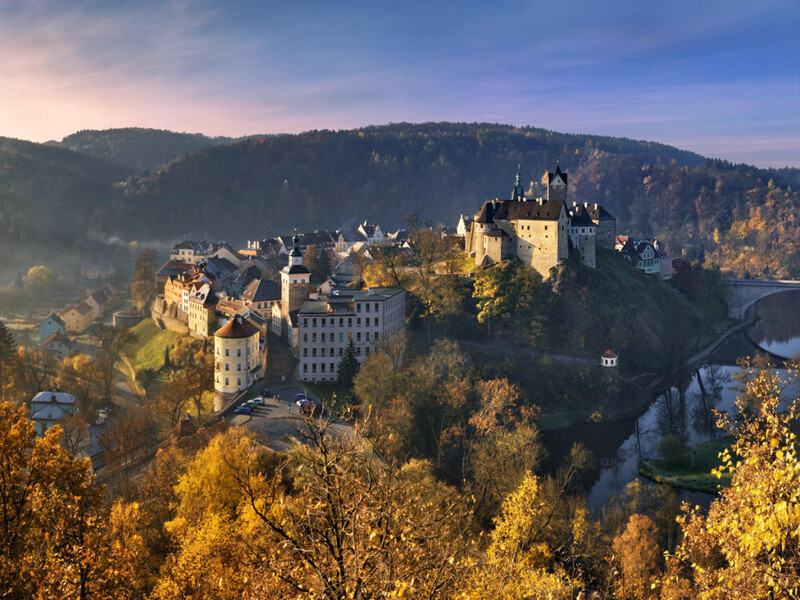 Nearby city Karlovy Vary (Karlsbad) is only 8km (10 minutes) away from Loket town. 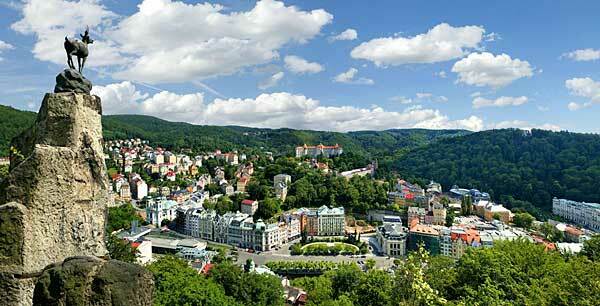 We provide an ideal background in the heart of Karlovy Vary (Karlsbad) spa region. We recomend you to start the tour on T.G.Masaryk boulevard or at Thermal Hotel. 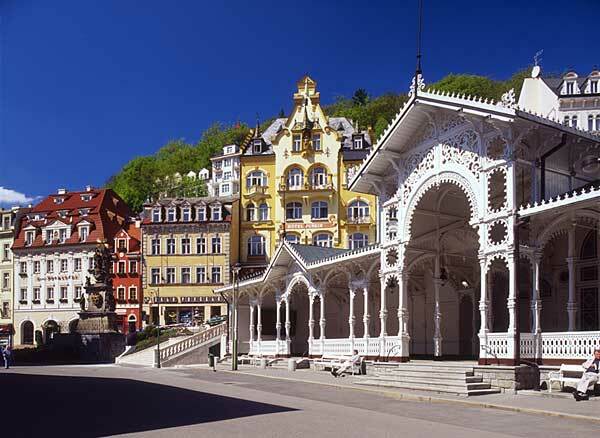 Along the collonade gallery, where all of the springs are located, you come to the Pupp Grandhotel. From here you can take a cablerail ride to Diana sight tower, which offers a beautiful panorama. 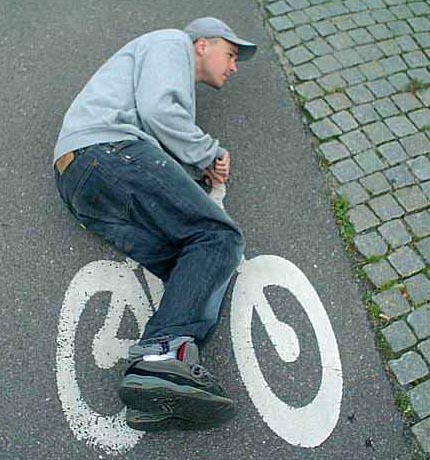 Link to the list of cycle-routes. 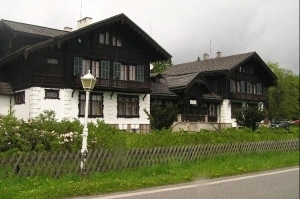 There is a central cycle-route of the Karlsbad region directly in front of the Guesthouse. 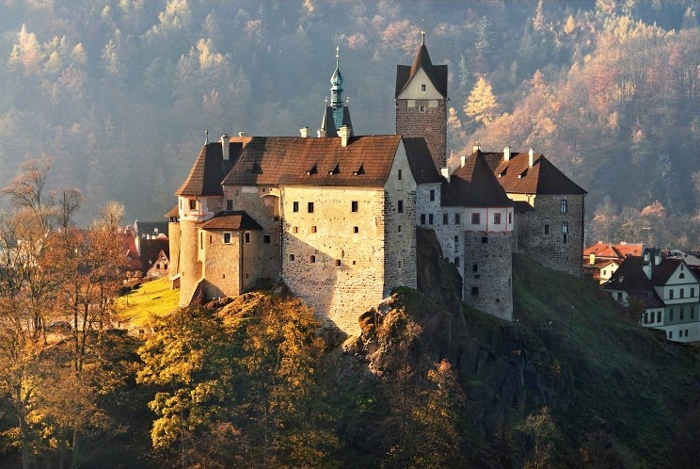 Favourite localities: rocks Svatosske Skaly, Kladska peatbog, Castle and manor Becov nad Teplou. 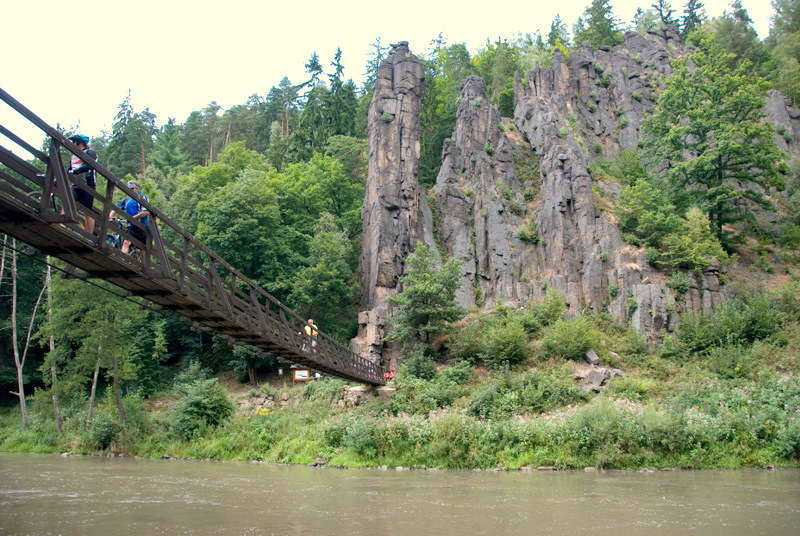 Svatošské rocks are a easily approachable destination on the central bikeway, only 6 km far from the guesthouse. 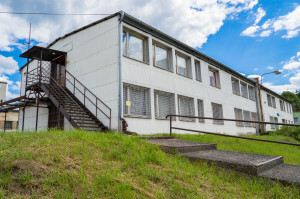 The natural reservation Kladská is 900 situated meter over the sea, which means, that there is the same nature, like in Sumava – moors, the vegetation and so on. Another attractive destination is the Krasno view-tower.